We go to the State Fair such is our devotion to yon readers. Details of who we met, who we talked about and that famous tent filled with candy. This is puff post, a praise of the Delaware state fair…THE BEST IN THIS ENTIRE COUNTRY. Well actually I’ve only been to two state fairs. You can forget Maryland. But Delaware? Ah, Delaware has a lot of farms and a big beach and right there you have the makings of the perfect storm for a state fair. As one can see from the picture above , goodness one can feel there arteries hardening from just reading the signs. I love the Delaware state fair and if yon reader hasn’t made plans to go, please do so. I manned the GOP at the state fair exhibit hall with a fine fellow from Kent county. “By the toss of a stone I can hit Sussex county,” Dave told me, so okay, he’s logistically close to Sussex county so I accepted him with open arms. As we sat and greeted Republicans who passed by, I chanced to tell Dave about my daughter. I go through this long explanation then I kind of wrap it up with the infamous phone call to WXDE. Sheesh…IS THERE ANYBODY IN THIS COUNTRY WHO HAS NOT HEARD MY INFAMOUS RADIO TAPE? I had the News Journal call, Dr. Phil and, of course, the Discovery channel, which is putting us on the air, yes they are. They loved my book. If yon reader does not know what I am talking about….you must be the only one. Soon I will be telling my story. I already wrote one book about it….my next book will be non-fiction. I will most certainly inform yon readers when the Discovery Channel will be airing my story. Discovery (markmathis productions) begged me not to go to Dr. Phil. Anyway, below a pic of the state Republican booth from the fair and whoever handled it all did a great job. Featured was a pachinko type machine that had those who played winning prizes. This thing was quite a hit with children and of course I made them all promise to register Republican when they turned 18. The pic on the right is the hand-painted portrait of the fair that fair-goers could win by filling out an entry form, providing us, ergo, their name, address and phone number. Around the corner we had the Republican Caucus booth. This did confuse quite a few people in that they didn’t seem to understand why there were TWO Republican booths. I caught my own state senator, Brian Pettyjohn, around the corner, and he too HEARD THAT DAMN TAPE! Below Brian poses with his assistant at the GOP Caucus booth, which was the ELECTED guys. I was told that Senator Simpson and a few others would be taking a turn at the booth. Ruth King, I am told, is on a cruise. Which is just gossip but hey, I share it when I hear it. The people that stopped by our booth were quite concerned about the upcoming presidential election and please don’t tell Frank Knotts but quite a few of them liked Trump….hey, I’m jus’ sayin’. And a couple are really intrigued by Lacey Lafferty. It was only the second day of the fair so traffic was light. But still quite a few folks stopped by and quite a few signed up to volunteer to help. The interest is out there folks. We just got to do the job. Finally, my favorite place at the fair…..it’s the candy tent. You take a big bowl and walk through a maze. Displays of any kind of candy you might imagine are there for the taking. Somehow I managed to buy $14.00 worth of candy but my bowl was quite full. Here’s hoping the treats last until the Delaware State Fair 2016. 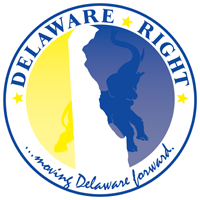 Plan on visiting the Delaware state fair yon readers. It’s the best on the planet. NEXT : Still trying to get my life together….might be going to California soon. Will definitely write the Sunday talk show thread and plan on watching the Sussex county council next week. 6 Comments on "Political Gossip and Tidbits Wandering About The Small Wonder That is Delaware-The 7/24/15 Edition"
Well it’s great to see that Pat got out to the fair. I guess with First State out of the animal control business, she got out of quarantine early. Delaware has 1/4 of the farmland and 3 less miles of beach than Maryland. Will your story be on Property Wars? Eaten Alive? Or will it be part of Shark Week, the Land Shark episode? Thank you Farmhand. Thought I’d do the research on this one today, but you nailed it. Yon readers, where did they get you, from hillbilly holler? I think she’s had her rabies shots but did you find out if she was on a leash or not? You know how to tell if someone is rabid? Corner them, if they bite, they are rabid. I do not wonder why this woman’s daughter is scared. ← YEE HAW! I’M GONNA RUN FOR GOVERNOR!